25 x 2 ml / 25 x 0.07 fl. oz. 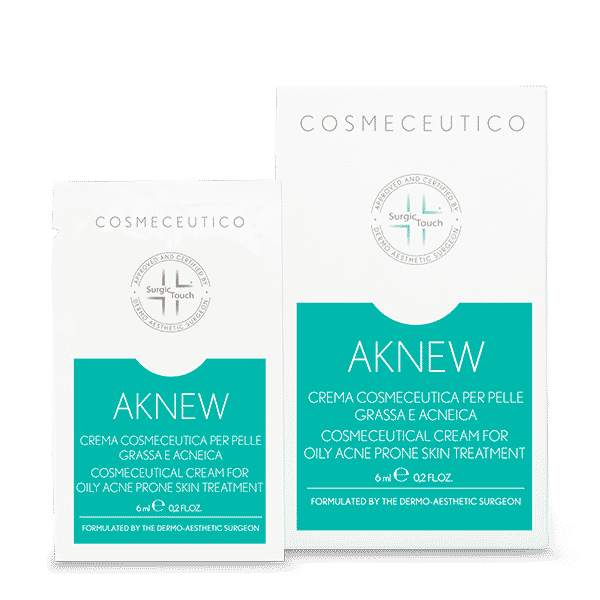 Aknew is the ultimate cosmeceutical cream developed for oily and acne prone skin treatment. 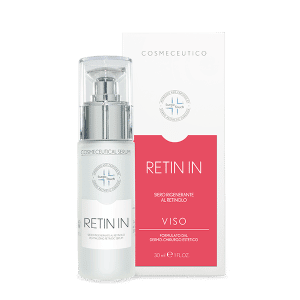 Vitamin PP sebum regulation together with panthotenic acid and Vitamin B6 action enable the reduction of reddened areas, decongesting skin irritation. HYDROGEN PEROXIDE: the high concentrated hydrogen peroxide fights against the acne mechanisms, minimizing the colonization and proliferation of micro-organisms involved in the appearance of pimples. VITAMIN PP: la Vitamina PP leads to the production of new lipids, helping it finding again its integrity: good hydro-lipid film and restoration of protective barrier. VITAMIN B6: helps regulating sebum production. Furthermore Aknew contains HYDROXYETHYL ACRYLATE/SODIUM ACRYLOYDIMETHYL TAURATE COPOLYMER, necessary for this particular formulation and 100% tolerable during this “short contact” therapy. 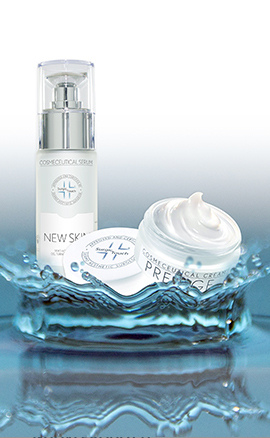 Apply small quantities of the product on the skin of the areas to be treated. Leave it drying without rinsing. Aknew is to be used mornings and evenings for at least 3 months. Avoid contact with mucosals, eyes and eyelids.